Carpooling to games is recommended, as parking areas are limited. Spectators park in the lot at the intersection of Grand Ave and Cretin Ave on the west side of the ramp first. Parking in the parking ramp will be free of charge with the exception of any weekday games. Drop off spots are limited. Drop off individuals needing assistance or who have handicap requirements on Cretin Ave, south of the ticket booths in the U drive. Residential areas surrounding UST require city parking permits. Avoid parking in neighborhoods west of the stadium. NOTE: Your car may be towed if you park in one of these areas. Please check signage on any residential street and be mindful of the neighborhoods. St. Paul Police and UST Public Safety will help with traffic flow. There is a significant concern for pedestrians attempting to cross Cretin Ave and Summit Ave at non-intersection areas. Use the cross walks at all time. Arrange pick-up of your son/daughter or adult fans in a location that does not create congestion. Picking up along Cretin Ave is prohibited. Ticket sales occur along Cretin Ave. Pre-sale tickets will be available to students, families, and the community on Fridays at home games when posted on the website. Pre-sale tickets will not be available for other games unless playoff or state tournament games. 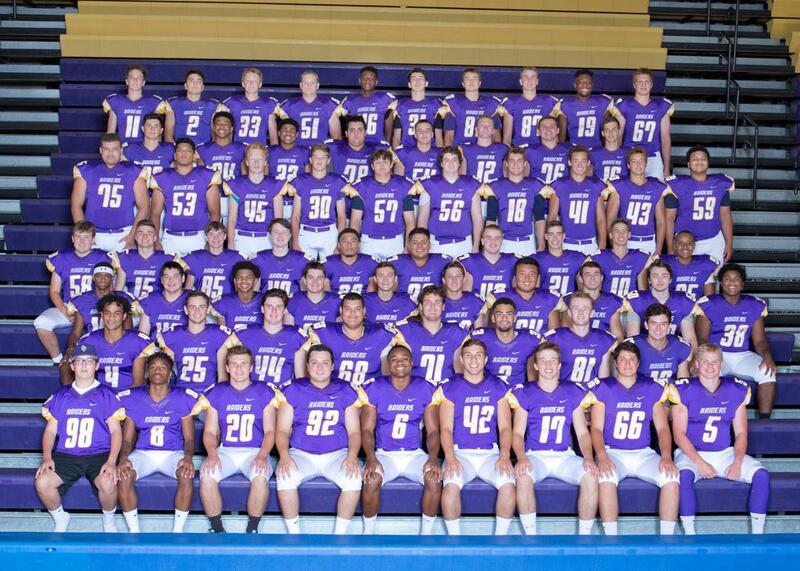 Cretin-Derham Hall Football has four levels: 9th grade, 10th grade (B Squad), junior varsity, and varsity. Football is a sport that encourages both experienced and inexperienced players to participate. The varsity and junior varsity football season begins on Monday, August 13, 2018 and the playoff season begins toward the end of October and runs through November. B Squad football season begins in mid-August and goes through the last week of October. Ninth grade football season begins in mid-August and goes through mid-October. CDH practices and plays 9th, B and JV games at CDH on the Wingerd Turf Field. Occasionally, CDH may host a game or practice at McMurray Fields. Teams will be bused to this location after school when needed. The varsity team hosts games at O'Shaughnessy Stadium on the campus of the University of St. Thomas.